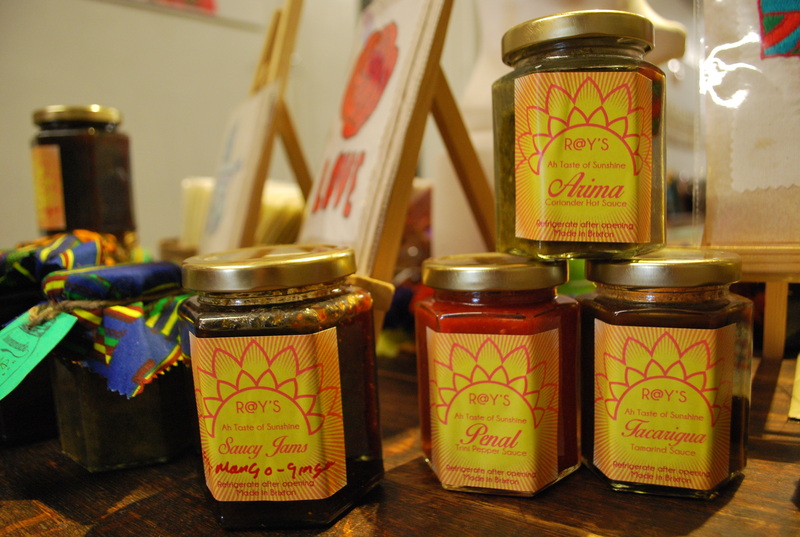 We have a range of delicious Trinidad inspired chutneys and jams to appease to all tastes, from sweet and mild to hot and spicy! Homemade, free of nasty preservatives or additives, they are the ideal accompaniment for a wide range of foods: from cheese to dhal, meat and toast. Find them at C.A.F.E and at selected markets. Penal– A traditional Trinidadian pepper sauce. A combination of scotch bonnet pepper, garlic, ginger and carrot, marinated in lime juice and salt. Hot and spicy! Arima- A take on the Mauritian coriander chutney ‘Chatini de cotomili’. Also works as a great marinade for meats and fish before cooking. It’s a combination of coriander, chilli, garlic and salt with an added twist of tamarind and sugar. Tacarigua– This sweet and spicy tamarind chutney is traditionally served as a condiment with starters in South Asian cuisine. Maracas – Our house chutney, medium hot made with vegetables and lime. A great accompaniment to South Asian and Caribbean dishes. Paramin- A fruit and spice chutney with a tingling aftertaste of black pepper . Perfect for cold cuts and cheeses. It makes a great accompaniment to your Ploughman’s lunch. Saucy Jams – Our seasonal jams, sweet, delicious and perfect on toast.